British Supercar manufacturer, Ascari has produced the answer to the Ferrari Enzo FXX, but for keeps! Whereas the Enzo FXX is not road legal, it was produced to be driven during track days only and costs just over £1 million (1.5m EUROS), the A10 is road legal so can be driven home and parked on your drive, to the envy of your neighbours for just £350,000 (522.000 EUROS). 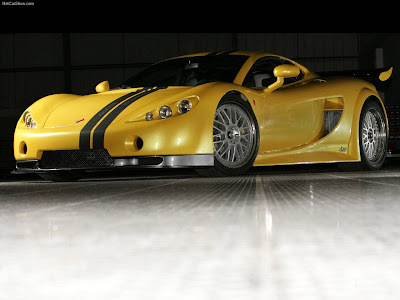 The UK's newest Supercar will make its first ever appearance at the 2006 MPH show in Birmingham, England on 28 October.